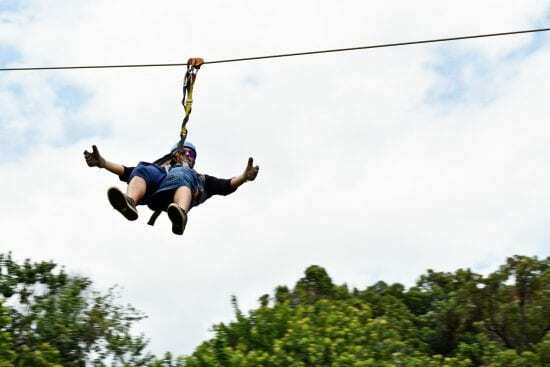 Feel the rush of a zipline through the jungle at NorthShore Zipline! 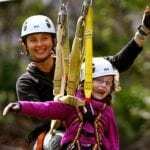 The NorthShore Zipline course is an incredible 7 line canopy tour experience for the entire family, accommodating children as young as 5 years old. Your family experience and photos will be a priceless treasure to be remembered for years to come. Reaching heights of up to 70 feet and speeds upwards of 40 mph, it’s a thrill seeker’s dream day flying through the jungle! 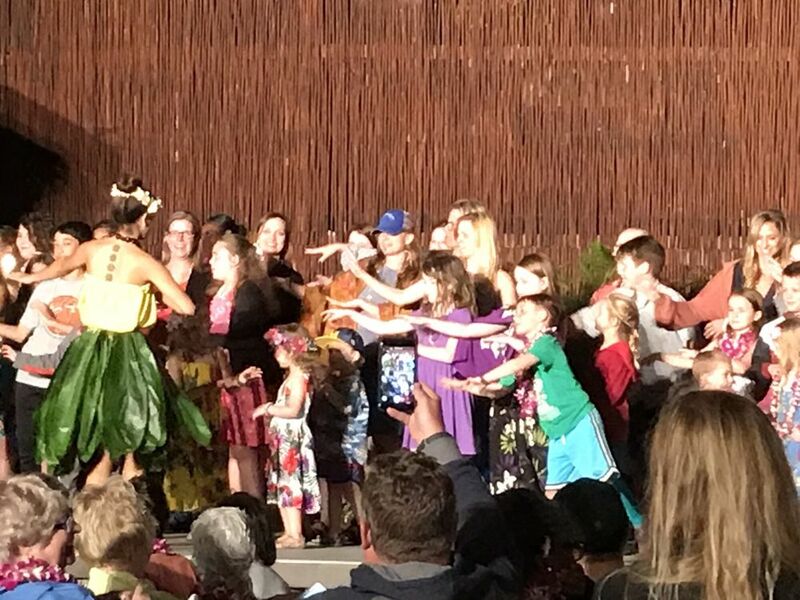 With a minimum age of 5 years, your whole family can now enjoy one of the premier Maui family activities. At last! 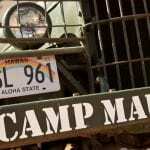 Adventure activities for kids on Maui, which up to now have been few and far between. Your family experience and photos from NorthShore Zipline will be a priceless treasure to be remembered for years to come. 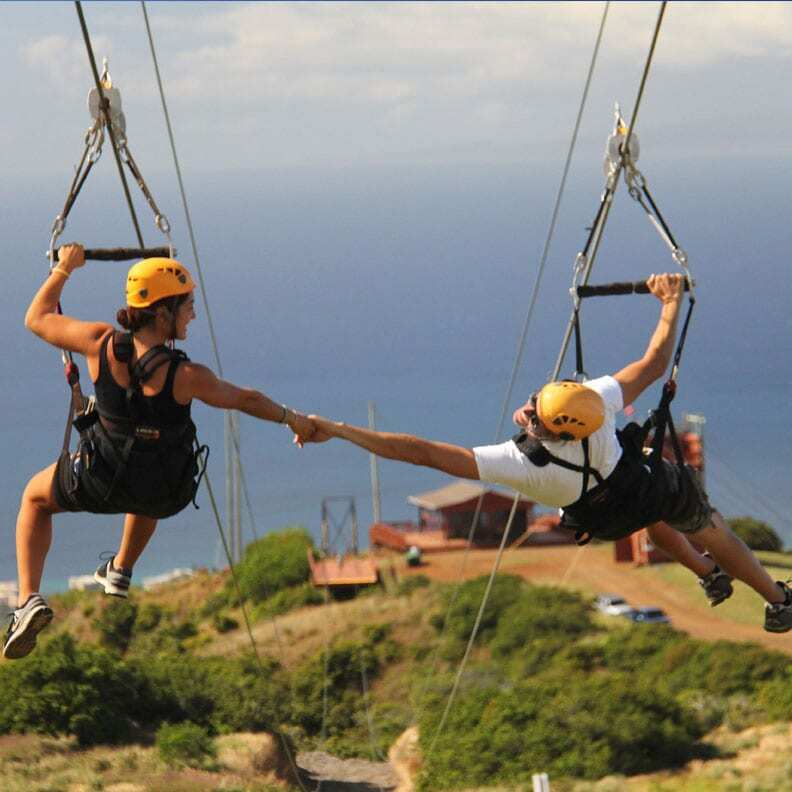 There’s nothing more breathtaking than the view on a zip line in Maui. 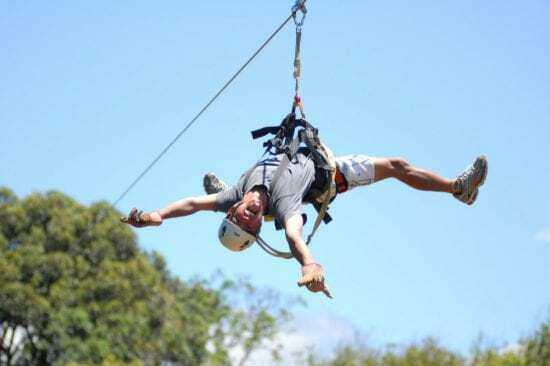 Harness up and zip Costa Rican style from tree to tree. 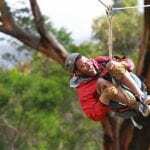 Soar through the canopy of giant eucalyptus trees. 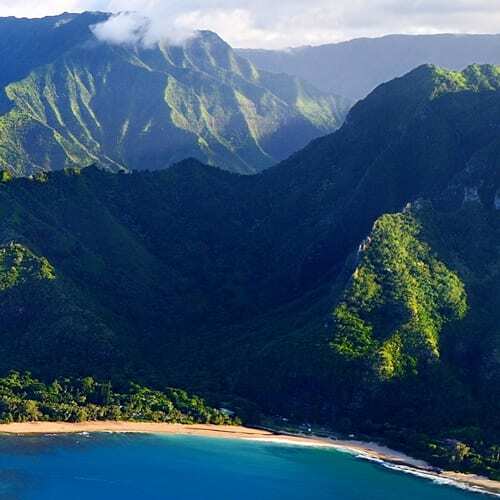 Enjoy six different zipline runs entwined with seven aerial deck transfers, Indiana Jones style suspension bridges, and unsurpassed views of the Pacific Ocean and Maui’s verdant North Shore. Once you are up in the trees, you stay in the trees! You’ll reach heights of 70′ and speeds of up to 40 mph and zip lines up to 900′ long. 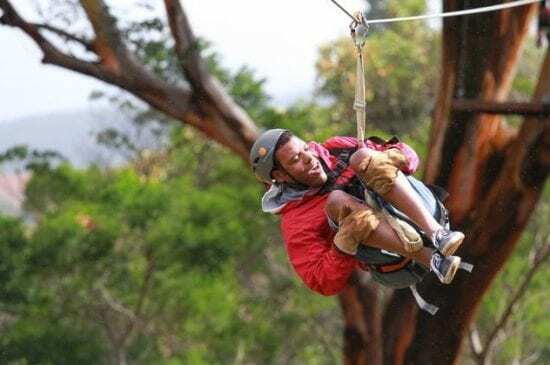 Fast fun and exhilarating, North Shore Zipline Tours at Camp Maui was designed to thrill first time zippers, as well as the most experienced zipline enthusiasts. 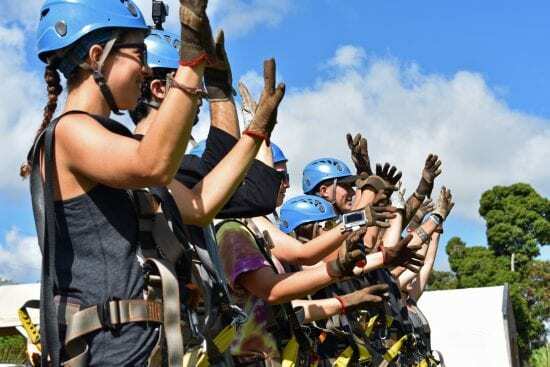 Ziplining in Maui at one of the most beautiful locations on the island is an experience your family will never stop talking about! 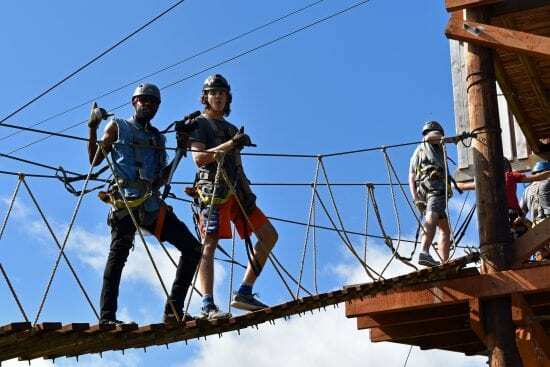 With 7 zip lines plus suspended bridges as pathways from platforms throughout the course, this Maui zip line canopy tour will provide your family with an incredible adventure in paradise. 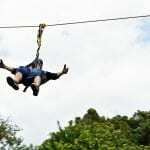 Maui’s Costa Rican style zip line canopy tour at NorthShore Zipline. 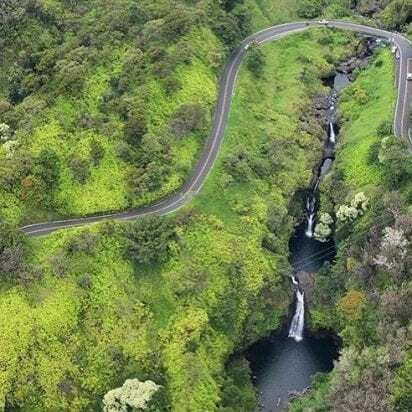 This exclusive Maui zipline experience takes place on private lands not open to the public before now and is one of the most sought-after things to do in Maui. 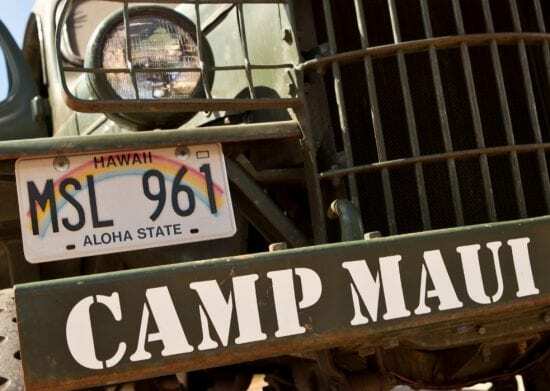 The location is also a World War II era historic site called Camp Maui. 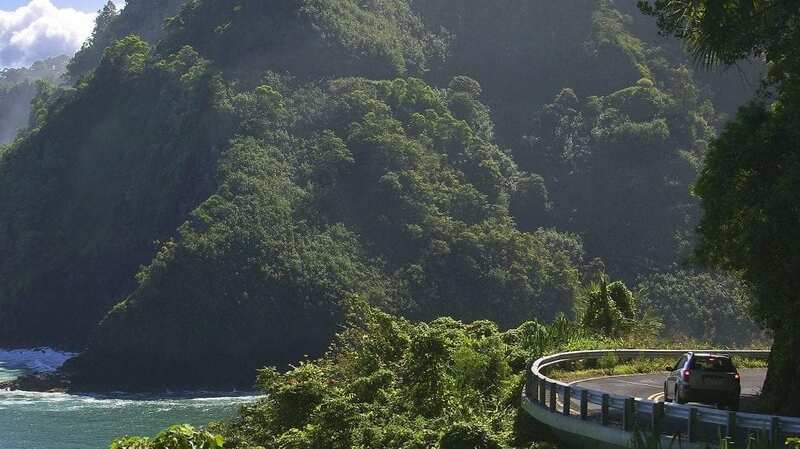 There are no hikers on this Maui Zipline Course. No persons with back, neck problems, or recent surgeries. If you have any medical conditions that could be aggravated by this activity, call us for medical consideration before booking. Lace up athletic shoes required. Maximum 9 Zipliners per tour. 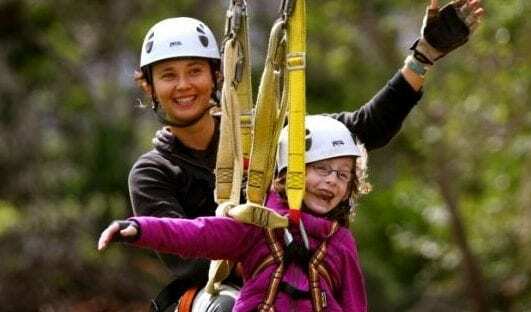 Weather-related cancellations by North Shore Zipline are 100% refundable. 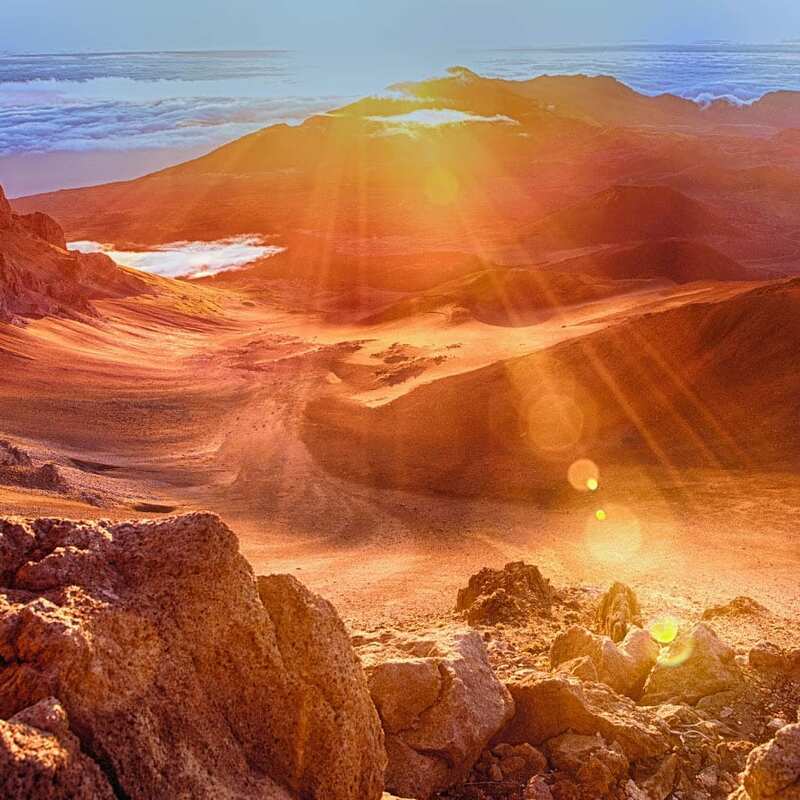 We highly suggest that you schedule the earlier times in the morning before noon. 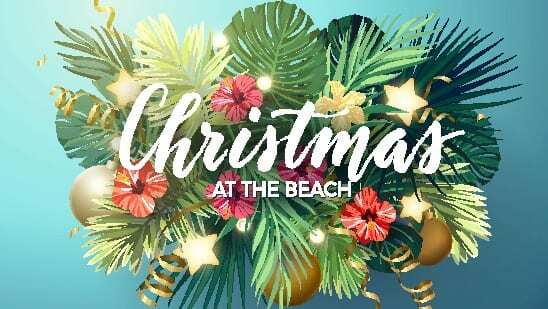 Traffic moving through Paia from about 11:00 am for the remainder of the day can be slow. The harness assembly that is used for smaller children is attached to the guide. Perfect! 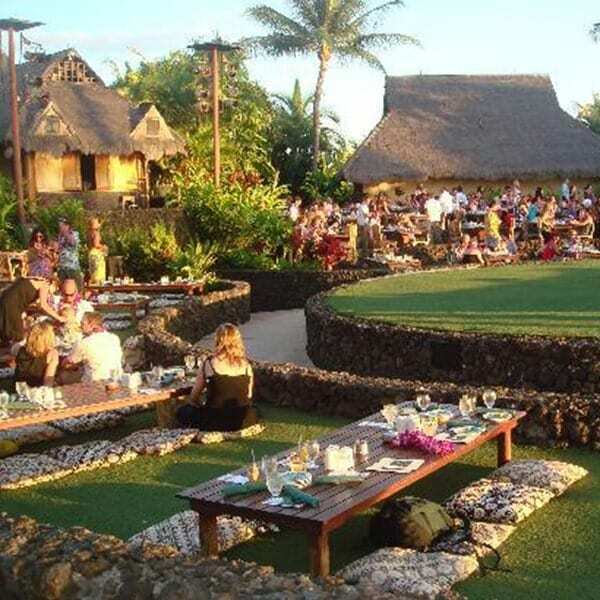 Haiku is the perfect place to begin an adventure Upcountry. 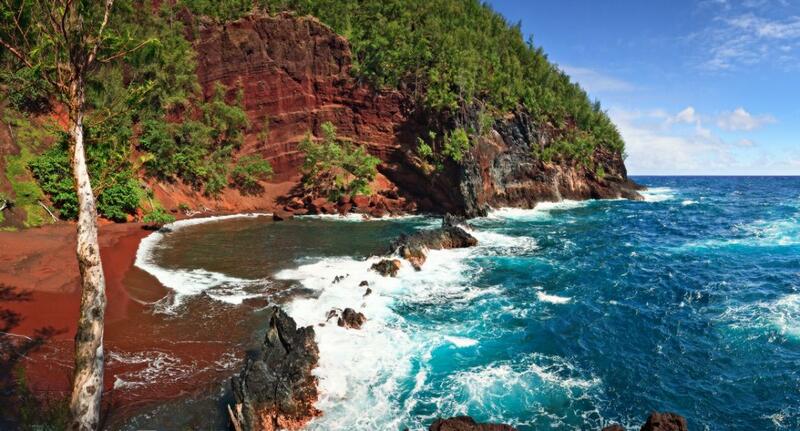 There are so many unique Maui attractions in the area, including Makawao. 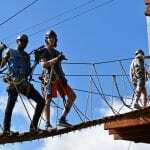 Maui Activities: Maui Land Activities, Maui Ziplines. Check-in – 30 minutes prior to event time. Went to Northshore Zipline yesterday with my wife and son. Our two guides made sure everyone was safe and had fun as we zipped across the various platforms. Nice group of people and memorable experience. Best part was hearing our 15s chuckle while wearing ear to ear smile. AMAZING! Margaret, Caleb and Alex were AWESOME! They helped my kids overcome a lot of fear and have a great time. As awesome as the guides were, I have to say Ninja (the dog) stole everyone's hearts! Best zipline dog guide ever! The property has some cool WWII history and planes, etc were so neat to check out. My oldest loved that. By far, the best thing we've done on the island. Worth every penny! 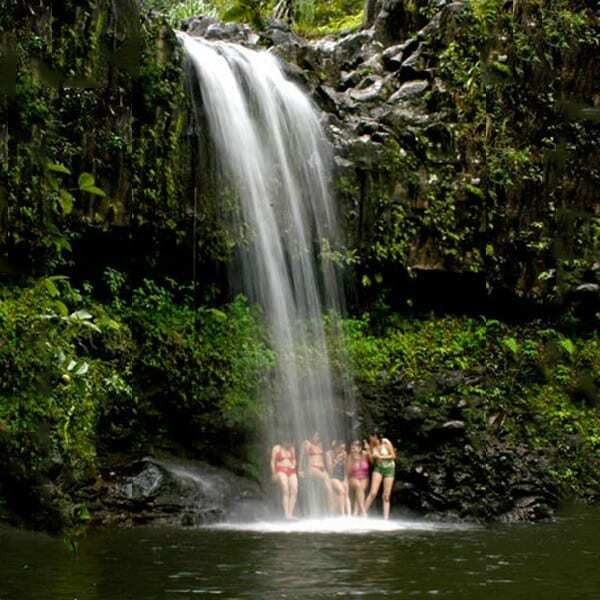 Don't expect soaring over the rain forest...this is different. 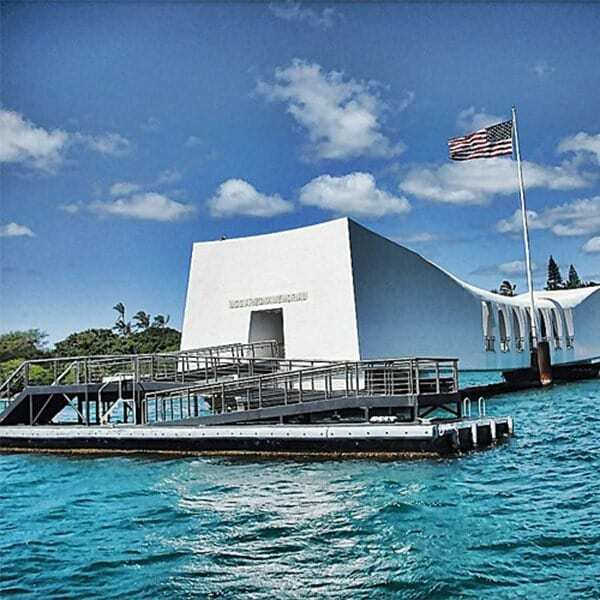 You are soaring over an old military base with history. Devin and Michael were awesome with their safety and sense of humor. Love the experience. Use Groupon for discounted prices. The staff made everyone feel safe! It was a great experience considering 6/7 of us were nervous! Al and the team were so funny! We were genuinely laughing the whole time!